Australian made? or New Zealand made? Spirulina, Food ? or medicine? Australian made? or New Zealand Made ? At this stage, there is no strong regulation to force companies to inform customers that their products are "made" or just "packed" in Australia. In fact, there is no other company producing Spirulina in Australia or New Zealand except our company in Darwin. Although many companies tell you their products are made or produced in Australia or New Zealand, it is simply not true. It is possible that a product stating "Australian Made" or "Made in New Zealand" might come from China, India or Thailand! It is just packed in Australia. Even though Spirulina has health benefits, low quality Spirulina products can harm your health. If you ignore quality, you will take a risk poisoning yourself with heavy metals and other undesirable contents. What can consumers do at this stage? It's easy, but consumers will need to take some steps to discover the truth. The following are some steps you can take to help identify the source of the Spirulina you are taking. If they claim their products are grown or made locally, then you can ask for their Growing License. In Australia a License is required for production of Spirulina. Click the link below to see our license which must be renewed each year. In Australia , Spirulina is classed as a food type or supplement (not medicine), so manufacturers of Spirulina are not required to register with TGA as medicine manufacturers. However, permission from local health department is required. Click the link below to see our permit. All the food businesses in Australia must be regularly checked by a local health department to make sure all the working environments and systems are according to Australian food Standards. Spirulina companies in Australia should provide their certificate or licence to prove they can legally run their business. Certificate of food Business Reg. Spirulina needs tropical weather. Most Spirulina producers are around the equator where spirulina can get maximum sunshine and constant high temperature. World wide, only a few countries are able to grow spirulina commercially. There are two regions in the USA , ( Hawaii & California ), one in Mexico (may no longer operate), some in China , Taiwan , India and Thailand . We understand Japan doesn't have commercial growing sites (due to low temperature). Japanese companies import Spirulina for their products. There is one research plant in Okinawa , but not for commercial production. Spirulina is grown in an open area in order to get maximum sunshine. It is not possible to grow Spirulina indoors commercially. So a pollution free environment is essential to grow Spirulina. With industrial pollution getting worse day by day, it's hard to find a country like Australia which has a pollution free environment. Darwin in the Northern Territory of Australia is one of these few pollution free areas in the world. It's difficult to grow good quality Spirulina. That's why most of the Spirulina manufacturers keep their best products for themselves (sold under their own brand). So the companies that don't produce Spirulina themselves have to purchase lower quality Spirulina and sell their product at lower prices. It costs more than AU$ 50 to manufacture a kilo of high quality Spirulina powder (excluding packing, making tablets and final processing). On the other hand, the price of low quality products imported from China or India is between AU$15 and AU$20 a kilo. That's why most companies love to use imported Spirulina. However, they are misleading customers by saying "Australian Made". They are providing incorrect and improper information on their labels. These companies are fully aware of the commercial risk of providing correct information about their source of Spirulina. If they state it, they know they will have difficulty in selling their products at a good price in Australia . So what they normally do is only packaging in Australia and claiming their products are "Made in Australia ", which is misleading all consumers. Spirulina , Food or medicine? In USA , Spirulina has been ranked as a food type of supplement (the same as Australia ). Some health benefits claimed for Spirulina have been approved by FDA. However, Spirulina is a food and not a medicine. In Australia, our top authority; Food Standard Australia and New Zealand (FSANZ) has clarified that this product should remain as food (food type of supplement), as long as medical or therapeutic benefits are not claimed. So legally, we can only make nutritional claims about our products. We claim our products in this regard. Many medical researchers have shown Spirulina actually can help in fighting some illnesses. In some cases Spirulina can even be used to fight Viruses and cancer etc. (please see our reference for related reports). 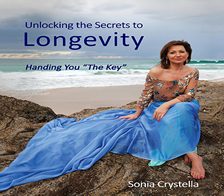 However, taking Spirulina orally doesn't mean you can have 100% the same result as researchers reported with respect to the medical applications of Spirulina. Consumers must understand that experts extract substances from Spirulina for medical applications. After the extraction and further processing, it can be injected or applied to humans in medical trials. So, this means you can't expect exactly the same effect through oral consumption of Spirulina. However, some Spirulina companies provide misleading medical claims in this regard. They try hard to promote Spirulina from a medical standpoint, which we don't feel is right. A new labeling system commenced from Nov 2005, but our law gives companies some extra time, 12 months for companies who manufacture products, an additional 12 months for products which are already on shelves (total 24 months). Under the new system, companies have no chance to play tricks anymore. It is compulsory that all companies must clearly state all major ingredients and the origin of the ingredients. Also, the size of printed characters on labels should not be smaller than 9 mm. Before our new system takes effect, consumers can do some research for their own interest and own peace of mind. A few easy ways consumers can do this follow below. According to our law, all food labels must show all the nutrients and the data shown on labels should have solid evidence to support it. We have found some Spirulina companies make up all their data by themselves (without any evidence or reports). When you total all compositions shown on a label, you will get a total exceeding 100g per 100g sometimes. Obviously, the data was made up or copied from somewhere else. The nutritional data we state on our labels is written according to the formal analytical reports from the Australian Government Analysis Laboratory. This is an accredited Government Own Laboratory. Click here to see our reports. We have discovered some Spirulina products on the market are quite risky to consume because the companies shown on the labels do not exist. What can you do? if you have a problem with the product? How can you claim against a company that never existed? We suggest that all consumers should buy products using the brand they know, or heard of it from others. You may not be able to claim or complain about the product if you buy unknown products from an unknown company. If the price is TOO CHEAP , please Don't Buy! Producing good quality Spirulina will need a big investment of resources and money. It's impossible to produce good quality Spirulina in Australia at the low costs seen China or India (the cost of our labour is almost 10~20 times higher than the cost in these two countries). 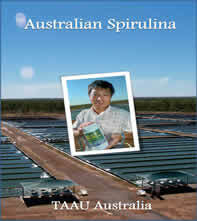 Australia is one of only few countries that is able to produce good quality Spirulina. Spirulina products from Australia and USA are sold at higher price than products from other countries. Why ? The answer is the quality. In Australia , we have strict regulations for Spirulina businesses. We must comply with all the regulations throughout the processes of manufacturing Spirulina. However, some countries don't have such systems that allow audits of quality, so no one will know the quality. But their products can be imported into our market without any examination regarding quality. Are you aware of this? So, please don't choose a product by it's price tag. If you do so, you may put yourself or others at risk. GMP is Good Manufacture Practice. Since this product has been ranked as a food in Australia , this will never be an issue for Spirulina products. In Australia , the GMP system is applied only to medicines and some cosmetic products. It has nothing to do with food products. So if a company claims that their products are manufactured by GMP standards, you have to be careful about their products. We know that no other Spirulina products in Australia have been listed or registered with TGA (Therapeutic Goods Administration) as medicine or therapeutic goods yet! The only system for food products is HACCP. However, this is for ordinary food. It is not concerned with Spirulina products. (not all algae are good for human consumption and some wild algae are even toxic). 2. Spirulina requires a high pH level environment to grow. Spirulina cannot grow well in low pH levels. Sodium Bicarbonate is extracted from saltwater. According to our regulations, we are not eligible to claim our product is organic since Sodium Bicarbonate powder is in a chemical form. No companies can grow Spirulina commercially without using a large amount of Sodium Bicarbonate. This basically means that no one can claim their products as "fully organic" products. Some consumers may say "how can other companies claim their products as organic products?". The answer is simple: most of them are certified by private organizations. There is no governmental certificate which endorses it! For example, some countries don't even produce Spirulina by themselves (like New Zealand ) but they can have Organic Certification in their country: How is this possible and who can audit it if it operates in other countries? According to Australian organic related regulations, no Spirulina products are eligible to be claimed as organic products. That is why consumers cannot find any Spirulina products which have been certified as Organic in Australia. In the Australian market, most certified Spirulina comes from USA or New Zealand . The question is "Is it right to use another country's certificate in Australia ? Is it the same as our certification system?" The answer is clear. For example, if someone from another country tries to enter our country without an Australian Visa (Certified in Autstralia), can they use a New Zealand or USA VISA to ask for entry into Australia (Market)? Another example: if someone who owns a Solicitor or Dentist License issued by another country, can they work in Australia without an Australian license? The answer is clear! Why don't they want to apply for an Australian Organic certificate? The answer is "It is not possible". There is no certificate issued by a Governmental Organisation in Australia . Our company is the only company producing Spirulina according to Australian regulations. If it is not possible for us to get an Organic certificate, who else can? Wise consumers may already smell something is not right in our system! A few easy steps may help you determine whether your Spirulina is good or not. 1. Buy a product from a company you know. The company should have a local contact number or service. Buying a product with a good brand name to give you more confidence in what you are purchasing. You will have more protection when anything goes wrong. No local contact details means no guarantees at all. 2. Label that provides only little information; don't buy it! If a producer provides little information then how can you determine that its products are reliable? 3. Too good a price : don't buy! There is no company that can produce Spirulina cheaper than others, unless their Spirulina is not pure. Otherwise, they source and use the Spirulina from some other countries which don't have strict regulations for human consumption. It might be impure, have high levels of bacterial contamination and a higher content of heavy metals. Spirulina comes with a natural sea weed smell. It's normal. But if a product contains other wild algae, it will have a different smell. Taste some spirulina (powder or tablets). If it tastes too sweet, sour or strange, then It is not good Spirulina. Good quality Spirulina should retain a softness like fresh flour and has low levels of moisture. If it is already wet or sticky as dough, please discard it immediately. Powder form Spirulina is quick to digest in our body. Most Spirulina manufacturers add a large amount of binder (or tablet agent) in order to keep tablets nice and firm while they are making tablets. Binder (Filler) is not digested easily in our body. Binder added Spirulina tablets will take much longer to start to break down in our stomach. It is not healthy and not good for our body. What is a binder? The most common binder is "Silica diocide", in plain English you can call it "clay". Imagine how you would feel if you paid a high price for clay to eat! (not Spirulina only). To resolve this problem, our company has developed a new tableting technique for our pure Australian Spirulina tablets. We use no binder or filler to produce Spirulina tablets. What we do is we increase the pressing pressure and lower the pressing speed to make tablet nice and firm. Now Australian Spirulina is the only company which is able to produce 100 % pure Spirulina tablets without binder or filler . We are very proud of it. Australian Spirulina tablets are the only Spirulina products without any additive. Binder free is obviously best for Spirulina consumers. However, the binder free process will lower the production capacity, meaning the cost of production is higher. That is another reason why the price of Australian Spirulina is higher than other brands. Most other brands put 10~20 % of binder in tablets, so they can make tablets quicker and cheaper. Consumers may already discover that Spirulina powder of some brands is even higher than the same weight of tablets: Why? Because they put a lot of binder or other foreign ingredients in their tablets, so their tablets are cheaper than powder. If you find some brands' powder is more expensive than their tablet, they are telling you their tablets are not pure . Would you buy this kind of product once you know this? Australian Spirulina uses only 100% pure Australian Grown Spirulina as a single ingredient. What you pay is just for Spirulina , not for binder ! Australian spirulina promotes Green concept, we don't over package our products. Why is our Spirulina so expensive? 2003 Aus. Export award reports. Minister for Indusry, Tourism & Res.